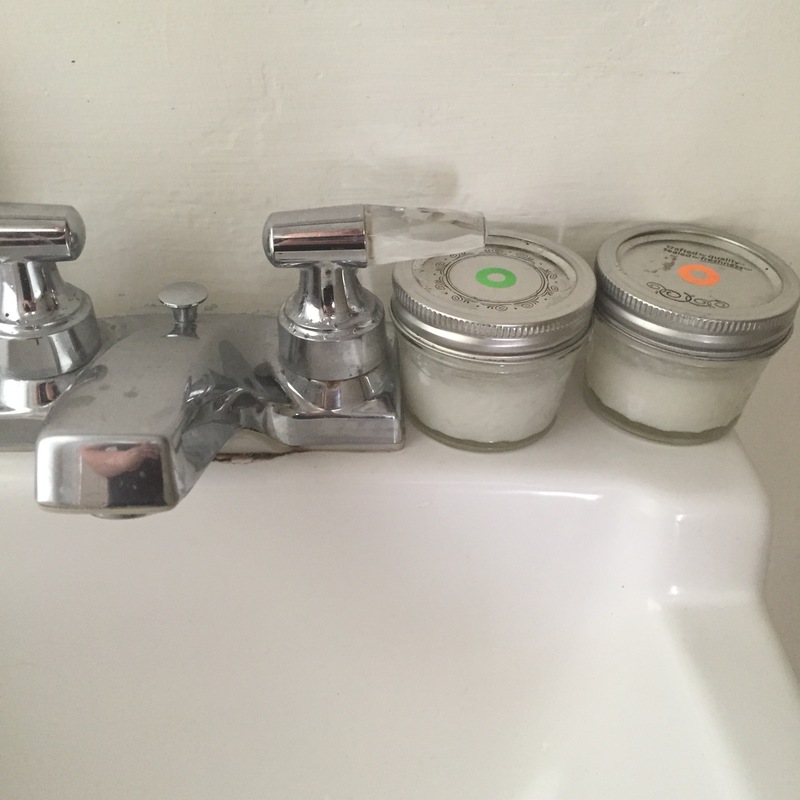 Toothpaste was my first step into the world of zero waste. 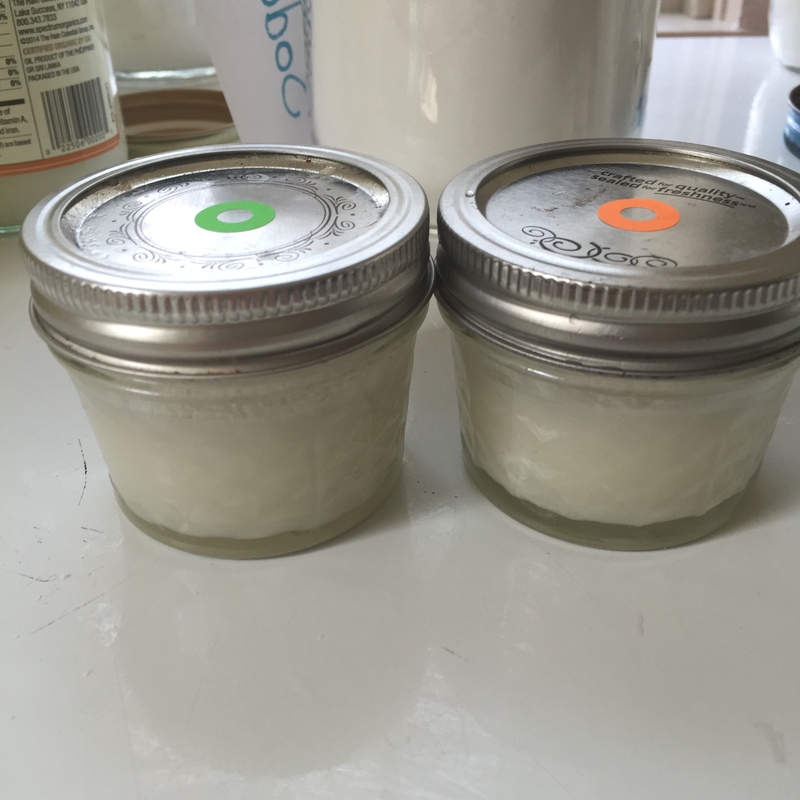 I had been recycling for years, and was always aware that trash was a problem, but when I finally decided to make my own toothpaste my life changed forever. 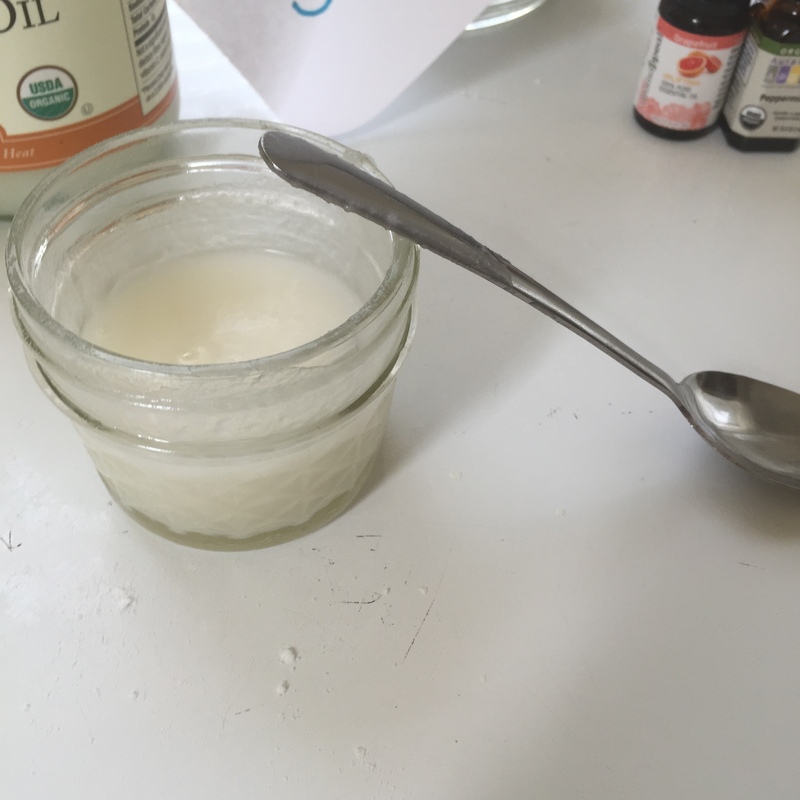 Making your own toothpaste might not be as life changing for you as it was for me, but it’s still a positive step towards a healthier and cleaner future. 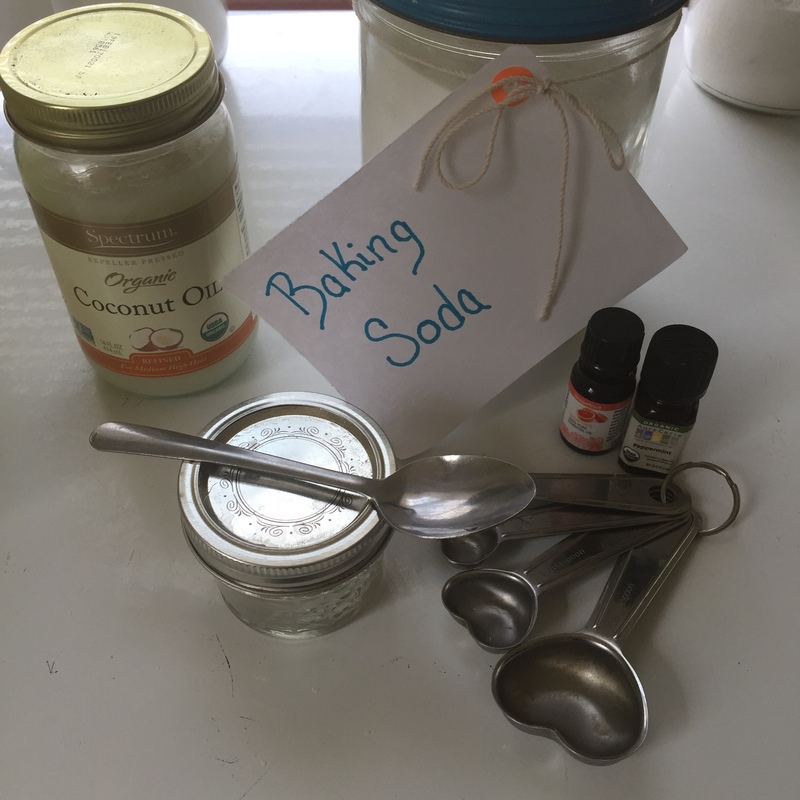 This recipe uses 1 part baking soda to 2 parts coconut oil. Meaning, if you use 2 Tablespoons of baking soda, you will need 4 Tablespoons of coconut oil. Put the baking soda, coconut oil, and essential oil into your small container and stir well. Yes it really is as simple as that! To use this toothpaste, I just dip my toothbrush into my jar. If you are sharing this with other people, I would suggest using a spoon to put the paste onto your toothbrush, because ew for sharing mouth germs. This paste won’t foam up or taste as minty as your old toothpaste, and while that may seem weird it’s actually good. You don’t want to be ingesting the chemicals they use to make that foam anyway. It will also taste sort of salty because of the baking soda, but I promise you will get used to this in time. To keep the flavors straight, I use small stickers that I already had around my house, but you could use a marker or wax pencil. **Full disclaimer, the first week I used this toothpaste, it made my gums bleed. That freaked me out and almost had me running back to my old minty fresh tube. But instead, I just added a little more coconut oil to my paste and brushed a little softer. Baking soda is abrasive and can therefore be an irritant for your sensitive skin or gums. Now I use the regular amount of coconut oil and baking soda and haven’t had any problems, but if you find that you are still having irritation after a couple weeks of using this paste, you should probably stop use and go see your dentist. That is a bit odd. I haven’t experienced any increased sensitivity from this recipe (in fact my teeth are less sensitive now than they were a year ago). I hope that it is just the baking soda and that adding more oil helps!